Increasing prevalence of cancer and diabetes among global population is expected to drive the growth of market. Peptide are selective efficacious signaling molecules, which bind to specific cell surface receptors such as G Protein-Coupled Receptors (GPCRs) or ion channels, where they trigger intracellular effects. More than 7000 naturally occurring peptides have been identified, which have role in human physiology including functions such as neurotransmitters, hormones, growth factors, ion channel ligands, and anti-infective. Peptides are efficient precursors in designing of novel therapeutics, owing to their specificity, safety, tolerability intrinsic properties and its ability to provide expected results in humans. According to the Bioorganic & Medicinal Chemistry Journal, June 2018, around 60 peptide drugs are approved in the U.S. and in other major markets, such as Europe, and Japan. Furthermore, peptides have low production complexity as compared to protein-based biopharmaceuticals, which lowers the production cost. Furthermore, peptides have wide range of applications in medicine, biotechnology, and therapeutics peptide research. Low production cost and increasing clinical applications are expected to drive growth of the peptide therapeutics market over the forecast period. Peptide therapeutics market size is forecasted to grow in coming years as peptide based therapeutics has already showed lucrative revenue opportunity to key manufactures, in the past years. For instance, according to the Drug Discovery Today Journal: January 2015, data findings, peptide-based medicine: Lupron from Abbott Laboratories for the treatment of prostate cancer and among others, achieved global sales of more than US$ 2.3 billion in 2011. Moreover, Lantus from Sanofi reached sales of US$ 7.9 billion in 2013. Increasing Research and Development (R&D) activities in the field of peptide therapeutics and regulatory approval to peptide derived drugs or products shows lucrative trend in the peptide therapeutics market. 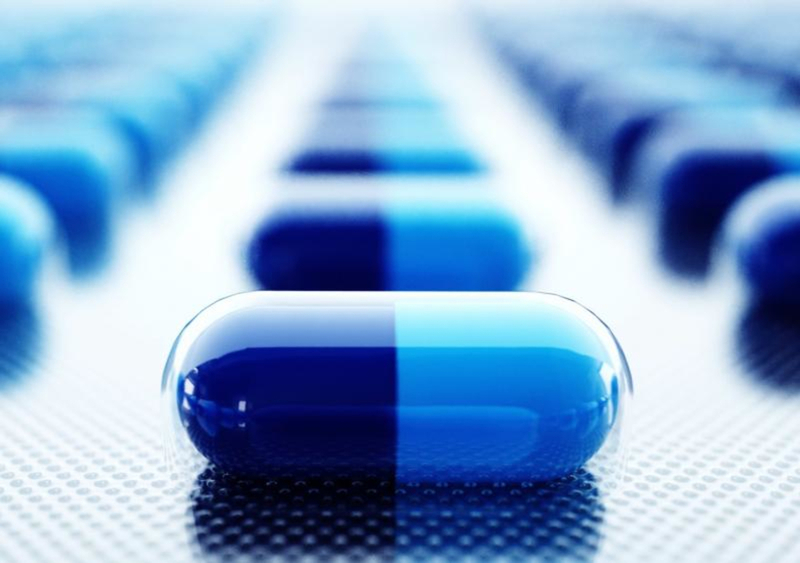 For instance, according to the Drug Discovery Today Journal data findings, in 2015, more than 60 U.S. Food and Drug Administration (FDA) approved peptide medicines are available in market with around 140 peptide drugs in clinical trials and more than 500 therapeutic peptides in preclinical development. Moreover, peptide therapeutics market is projected to witness significant growth over the forecasted period, owing to the increase in the development of novel peptide drugs. Glucagon-like peptide-1 (GPL-1) agonists, one of the novel peptide drug class commonly used indicated for the treatment of type 2 diabetes mellitus (T2DM). Increasing prevalence of cancer and diabetes among global population is expected to drive the growth of market. Moreover, increasing prevalence of obesity, type 2 diabetes mellitus (T2DM), rising mortality, and increasing demand for replacement of chemotherapy treatment is expected to drive growth of the peptide therapeutics market during the forecast period. For instance, according to the Cancer Atlas, 2017, an estimated 14.1 million new cancer cases were reported in 2012. According to the National Library of Medicine, 2016, number of people suffering from diabetes is estimated to be 56 million in European region with an overall estimated prevalence of 8.5%, in the same year. In addition to this, India, China and other East and Central Asian countries accounted for nearly half of world’s cancer cases and deaths in 2017. Furthermore, according to the same source, around 19.3 million population is estimated to suffer from cancer and around 11.4 million patients are estimated to die due to cancer by 2025 in emerging economies. Furthermore, with the increasing prevalence of cancer, awareness among population is also increasing regarding early detection and treatment of cancer is expected to drive growth of the North America peptide therapeutics market. According to American Cancer Society data findings in 2012, North America accounted for high incidence rate of cancer in children as compared to any other region worldwide. Moreover, according to the same source, in 2012, North America accounted for 13.1% of total estimated cases of cancer worldwide. Furthermore, increasing incidence of diabetes mellitus worldwide is expected to drive the growth of the market. For instance, according to the World Health Organization (WHO), 2016, an estimated 422 million adults are suffering from diabetes. The major spike in incidence of type 2 diabetes over the last decade (2006-2016) is mainly attributed to high prevalence of obesity. Moreover, early diagnosis of cancer increases the survival rate and reduces cancer mortality rate. For instance, in February 2017, World Health Organization (WHO), proposed new guidelines to improve survival rate of people suffering from cancer by ensuring that health service providers are focused on early diagnosis and treatment of disease. WHO proposed three steps to early diagnosis, which include improved public awareness of different cancer symptoms, invest in strengthening and equipping health services and training, and ensuring people living with cancer can access safe and effective treatment. Cancer Research UK organized Early Diagnosis Research Conference in February 2017, to share and discuss latest developments in early diagnosis research.